When I first started homeschooling, I really didn't know what supplies I would need to buy for my kids. 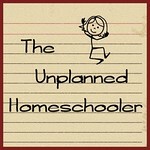 As an unplanned homeschooler, I was jumping out of public school and into homeschooling knowing I would have to learn as I went along. I had been spending between about $85 and $150 per child for the supplies on the teachers' lists when my kids were in public school. I knew homeschooling would save us money on the standard school supplies, but over the first few years, I was shocked at just how little we ended up spending. This year, I expect to spend less than $100 on all three kids combined, excluding some special art supplies my older daughter wants for her birthday. Here are just a few tips that have saved my family money on homeschool supplies over the years. 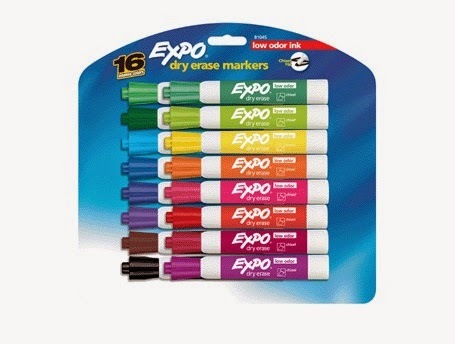 Good quality dry erase markers, such as those made by Expo, can last for years if you keep them capped tightly when not in use. I bought about a dozen dry erase markers, a large white board and some notebook sized individual whiteboards when I started homeschooling five years ago. We use dry erase markers frequently, but I was surprised to find that the Expo markers I bought lasted almost three years before they all dried out. My dream pack of dry erase markers. Look at all the colors! I love having lots of colors, so I tried to save some money a couple of years ago by buying a set of double sided SRX brand dry erase markers. Within just a few months, I found myself tossing those in the trash as one by one, they all dried out. I quickly realized that even though the Expo markers cost a little more, they are a much better value. This year, I found the pack above on sale at Walmart and on Amazon for less than $15. That's less than one dollar per marker, and I probably won't have to buy any new ones again for at least another two or three years. Teachers want you to buy brand new boxes of pencils and crayons for school every year, but as a homeschooler, I quickly learned this was not necessary. An inexpensive crayon sharpener can make your kids' crayons last a lot longer than one school year. Kids love lots of colors, so I bought each of my kids the giant 96 count boxes of Crayola crayons with all the colors they love and I got them each a nice quality manual crayon sharpener to go with it. 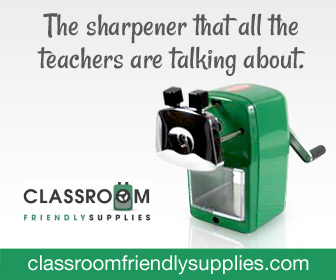 The sharpener built into the box is worthless, but a good sharpener with a cup to collect the shavings will be used again and again and extend the life of a box of crayons well beyond a year. Quality pencils sharpen better and last longer than cheap alternatives. 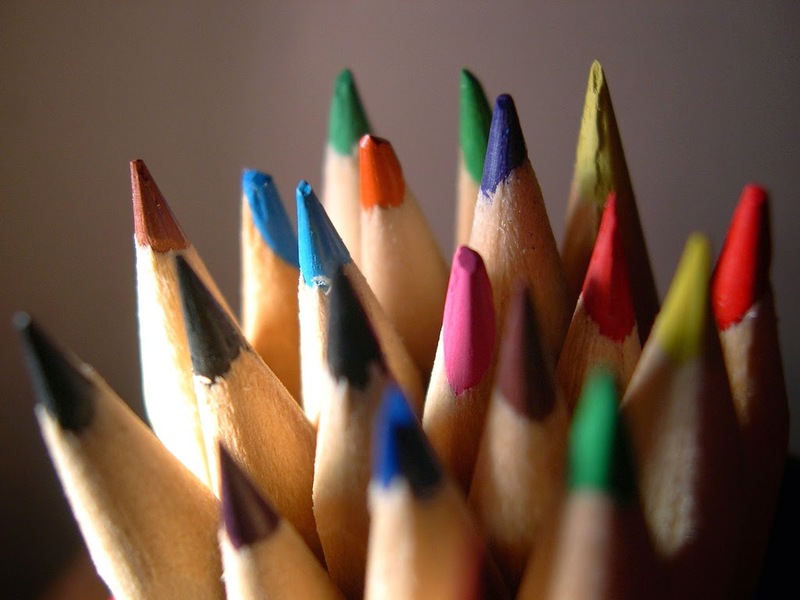 You can also save a lot of money on pencils and colored pencils by purchasing quality products on sale. I used a coupon to buy Prismacolor colored pencils at a steep discount at Hobby Lobby last year, and this year I found a great deal on Ticonderoga pencils, which sharpen more easily and are easier to write with cheaper alternatives. I have to buy in bulk, but I'll barely be paying more than I would for junk pencils at the dollar store. Paper may well be one of your biggest expenses as a homeschooler, because it is completely consumable. But kids can never have too much paper at their disposal. They need it for writing, for math, for drawing, for cutting and so much more. We stock up on all sorts of paper locally whenever we find a great sale. I haven't found better deals online than I have in the local stores on paper, especially during the back to school sales. My kids love having their own spiral notebooks and composition books. They like having access to reams of lined and unlined paper. They love card stock, graph paper, construction paper, watercolor paper and sketch pads. You name it, we probably have it. Durable school supplies like scissors, rulers, erasers and such are on the list of necessary items every year at school. But at home, you can reuse these supplies almost indefinitely, as long as you make sure to invest in quality products from the start. My son used the same Pink Pearl eraser for almost four years before I finally had to give him a new one, and he writes with a heavy hand and erases a lot. 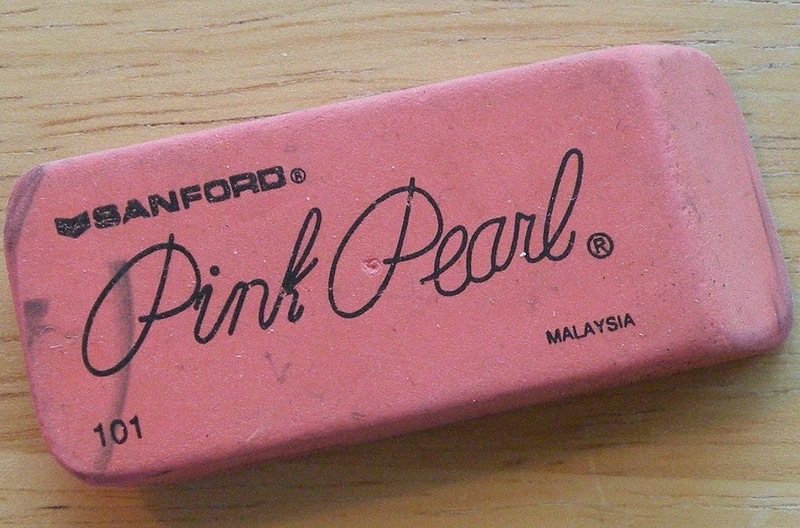 I like the Pink Pearl eraser, because it really does leave fewer smudges than cheap imitations and it doesn't leave too many crumbs. You can find even better erasers in the art supplies if you're willing to invest a bit more. A good eraser can ease a child's frustration and make mistakes disappear. This year, I will be buying my twins bigger scissors, to better fit their growing hands, but their old Fiskars scissors are still sharp enough for their little sister, even after more than four years of use. I won't be buying new rulers, since the colorful, flexible rulers I bought five years ago are still going strong. I won't be buying new protractors or compasses, backpacks, pencil cases, pencil sharpeners, paintbrushes, or most other reusable supplies, either. By fully using the consumable products like crayons and erasers, and buying high quality durable products that last for years on end, we will save thousands of dollars on school supplies by the time we're finished homeschooling. I hope these tips help you save lots of money, too!